You'll be a cute alien who wants to conquer the Earth with this Marvin the Martian costume for a girl. Marvin the Martian is one of the characters numbered among the famous cartoons of Warner Bros. In the short animated Looney Tunes films little is says about the Martian personality, besides of course his friendship with K-9 and his desire to conquer planets (including the Earth). It was not until the Duck Dodgers series that we started to find out certain characteristics about the alien, for example: he discovers that he has an atrocious fear of heights (because as he says, his mother left him hanging from the balcony of his house) although he is finally capable of overcoming this panic thanks to the help of Porky Pig, he also discovers that he loves golf (Galactic golf to be precise) and he’s not bad at it. He is also drawn to his superior, the Queen of Mars (although she doesn’t take any notice of him). His relationship with K-9 changes a lot, in the original short films quite K-9 was nothing more than his simple henchman, however now he is more like a pet than a servant. 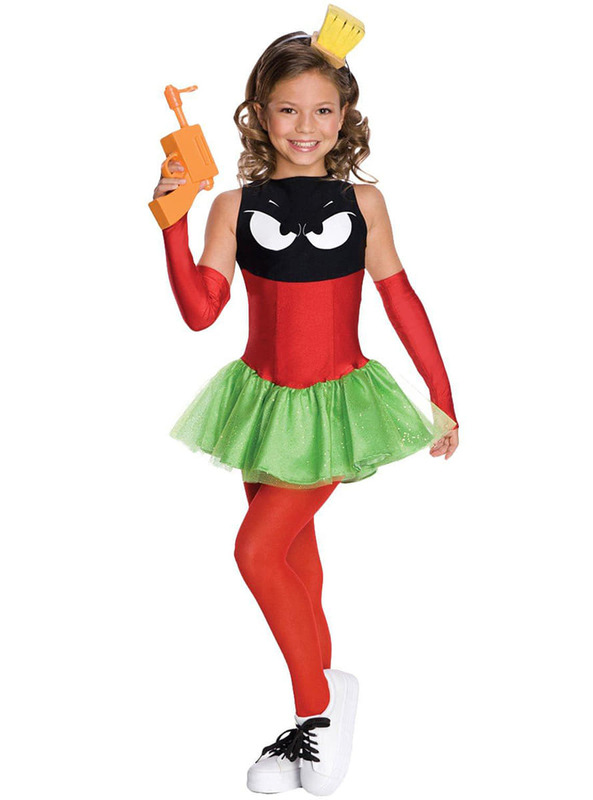 This Marvin Martian costume includes a dress with a red and black body, a green tulle skirt, long, red fingerless gloves and a yellow headband. Upload your photos to Instagram with the hashtag #funidelia followed by #funidelia12314.